Blocked and clogged drains can be very frustrating. Hills Emergency Plumbing has recently launched a new hi-tech maintenance program to solve this problem in Sydney. Bondi Junction, NSW – Hills Emergency Plumber, the leading plumbing company in Sydney is set to launch a new maintenance program that will be the ultimate answer for people who are tired of dealing with regular drain blockages. The company will send in-house surveyors who will visit the affected property. They will use high-tech technology to determine the source of the problem. Then, they will write a report that will highlight possible fixes that could help deal with the problem once and for all. The emergency plumber has announced that since they value the welfare of their clients, they will provide the initial assessment free of charge. Once the surveyors have submitted the report, a team of professionals will then come up with the best remedy that will suit the unique needs and budget of the property owner. A free and no-obligation quote will then be given, and work will commence once the contract form is signed. “Our plumbers will not just provide lasting solutions to our clients. They will also provide them with useful tips on how to prevent future blockages in their homes and business premises.” The Growth and Strategy manager at Hills Emergency Plumber expounds. He further explains that blockages mainly occur when sediments build up in drains that are heavily used such as kitchens and toilets which restricts the flow of water. He says that the best way to deal with the problem is not to descale the drains and leave. Offering permanent solutions is the only way to ensuring property owners live a comfy life and they cut on their maintenance costs. When the new program commences, property owners will have a reason to smile since almost all drainage problems will be prevented; thus they will not have to spend thousands of dollars replacing drain pipes and carrying out various pricey drain repair projects. Customers across Sydney will benefit from the free surveyor visit, and they can take advantage of preventive advice they will get from seasoned and prolific plumbers. The package will come with a 24/7 emergency callout service for all drain related problems including flood clearances, drain blockages, and drain repair. The company has invested in innovative technology which will be used for fast and reliable solutions that will suit different needs of customers across Sydney. 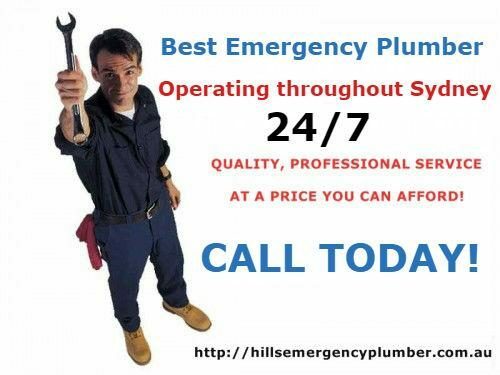 For more information about this emergency plumber, visit their offices situated at Suite 42C/30 Denison Street, Bondi Junction, NSW 2022, Australia or call them on (02) 8294 8568. You can also them at info@hillsemergencyplumber.com.au. For more information, click http://hillsemergencyplumber.com.au/bondi-junction/.